Rajendra Persaud, Esq. is a trial attorney overseeing cases in all counties of New York. He handles a wide array of claims including personal injury, premises liability, motor vehicle, slip and fall, and other general tort cases. Raj is an active member of the Defense Research Institute and the Defense Association of New York. 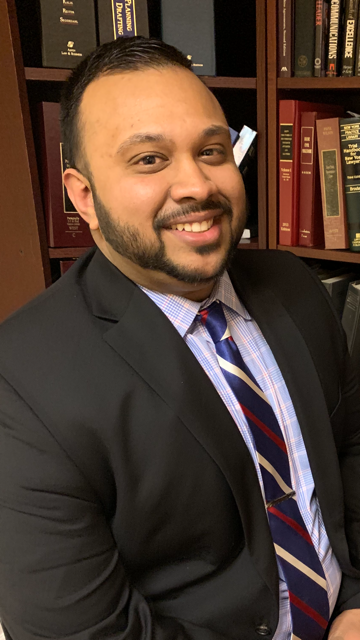 Prior to joining DeSena and Sweeney, Raj worked as a litigation associate for a prominent insurance carrier. There, he dealt with a high volume of cases while also assisting with managing the firm's heavy court calendar. Raj obtained his J.D. from Hofstra Law School in Long Island, New York. He served as the Research Editor for the American College of Trust and Estate Counsel (ACTEC) Journal. After winning the law school's Moot Court Competition, he served on the executive board of the Moot Court Association. In his spare time, Raj enjoys writing and spending time with his wife Shaweta and two dogs, Ethan and Coconut.